Chartered airlines fly direct to Dalaman, from various British airports between April and November. Turkish airlines will fly to Dalaman via Istanbul all year around. Dalaman airport is about an hour and a half away from Marmaris There are buses which takes you direct to Marmaris or you take a taxi If you are coming in on a flight only basis, we can arrange a transfer from the airport for you. See Transfers. How can I bring my pet to Turkey temporarily? Veterinary certificate (and vaccination document) which should be used not more than fifteen days before traveling to Turkey and should be stamped by the British Ministry of Agriculture and Fisheries or by the British Foreign Office. Export certificate issued by the British Ministry of Agriculture and fisheries or by the British Foreign Office. Legalization fee must be paid for each document, about £ 12 pounds, to the Turkish Consulate General. For any further information please call the Consulate General -see Links page. Is Turkey an Islamic Country ? Although the major religion is Islam, Turkey is a secular country rather than the Islamic state. Islamic restrictions on dress and alcohol etc., do not apply. Turks are among the friendliest people you could hope to meet. They are especially welcoming to foreigners who choose to visit their beautiful country. Don't be surprised if you are invited in from the street to share a tulip-shaped glass of tea. Can I get a foreign mortgage in Turkey ? Mortgages in Turkey are now available to all EU residents who wish to buy property in Turkey, although still at an early stage of development. 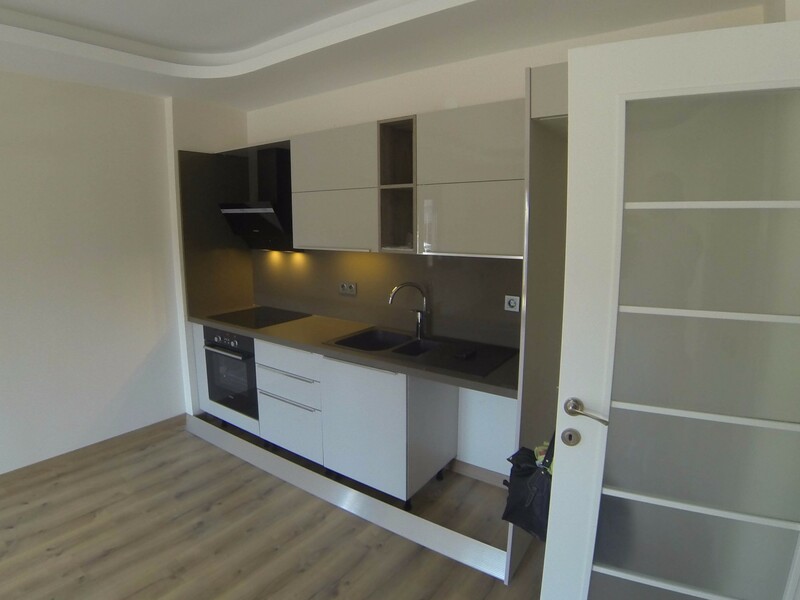 Buying Property in Turkey ? Freehold property and land may be purchased by most foreign nationals, from Turkish national or another foreigner, provided the property or land is in the local district " Belediye " (municipal) and outside of military areas.. After an agreed sale , in order to acquire the title of a property, an application has to made to the local Land Registry office. The title may be transferred once checks have been made that the property is not close to any sensitive sites in terms of national defense etc, it takes about 6 to 8 weeks . Once a positive reply is received- which is a certainty as we would not proceed with a sale that may not be permitted- the final stage of the sale can take place. This involves another visit to the land registry to sign the final papers showing the property in the purchaser's name. However, it is not essential that the purchaser is present as his agent or his solicitor can sign the papers in his place. When you decide to buy you will need to put down a deposit, usually between 10 and 20% of the property price. Your passport translations and property details are then sent to the Army for approval and this normally takes 6-8 weeks. You do not have to stay in Turkey during this time and can sign power of attorney to us or a lawyer. (Power of attorney paperwork is easy and takes less than an hour to complete) When the papers come back from the army we can e-mail you and you then send the balance of the purchase price and we, or your lawyer, complete the paperwork including registering the title deeds under your name and this takes approx. 1 week. Estate agents in Turkey can do the work of a solicitor with regard to property transactions and so lawyers are not absolutely necessary. However if you wish to use one, the cost is only approx £300. Yes, purchaser is liable for solicitor fees, agent fees and purchase tax. Total extra charges involved payable by the purchaser amount to approximately 5 % of the purchase price paid. Property tax , paid annually 0.0014 % of the declared value. Building insurance is compulsory can be arranged through a bank insurance system. Gas is normally used for cooking; gas cylinder refills cost approximately £ 10.00 and last two months for cooking. Electricity is cheap approximately £ 0.05 p a kilowatt. Bills are payable monthly at a local bank or directly at the Turkish Electricity Board. Water costs approximately £ 0.40p per ton ( 1000 liters on mains supply ). Site maintenance, groups of houses, particularly developments will form a management service, to maintain common facilities, common gardens, repainting, etc. The cost of this will vary from development to development, but generally starts from £ 250.00 per annum. Turkish Law governs their conduct. About my tax situation ? Capital gains from the sale of a property will be taxable in Turkey if the owner is a company. Individuals do not have to pay capital gains, provided they have owned the property for one year. In the UK capital gains may be taxable depending on the individual situation. Current tax conditions were originally agreed in a double taxation treaty signed in 1986.These were amended in October 1988 and cover the reciprocal agreement relation to income tax and corporation tax in Turkey and income, corporation and capital gains taxes in the UK. This also includes a non discrimination clause " National of contracting state shall not be subjected in the other contracting state to any taxation or requirement connected therewith which is other or more burdensome than the taxation and connected requirements to which nationals of that other state in the same circumstances are or maybe subjected" (Article 24 ). However, We would always recommend you to consult an accountant because each individual's circumstances are different. What is Marmaris and the peninsula like in Winter ? It is wonderful in winter, those who live here prefer it to the summer. The weather is very temperate and you can still get a tan and swim. Quite a few places are closed, but the harbor end of Marmaris remains very active. There are lots of hotels, restaurants and bars are open. The larger hotels remain open all year.